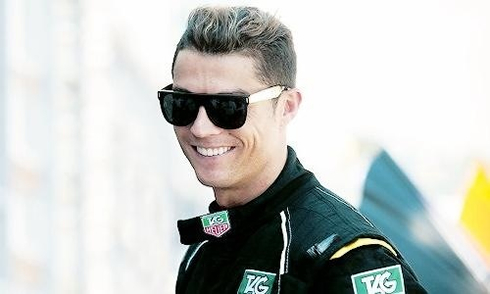 ﻿ Ronaldo: "If I was in charge, I would have done things differently"
02.09.2014 » Ronaldo: "If I was in charge, I would have done things differently"
In a recent interview granted during a Tag Heuer's advertising campaign, Cristiano Ronaldo reviewed this summer's transfer window and revealed his unpleasantness with the way Real Madrid handled some of the recent signings and departures. In the meantime, the Portuguese star continues training in Madrid and expects to be fully fit for the clash against Atletico, on September 13. A few days following Real Madrid's latest incursions in the transfer market, where the Merengues confirmed not only the departures of Xabi Alonso to Bayern Munich and Angel Di María to Manchester United but also the signing of Javier Hernández (Chicharito) from the Red Devils, it was, expectedly, only a matter of time until Cristiano Ronaldo voiced his opinion on the issue. The 29-year old wasn't exactly shy when it came to confess he didn't get very thrilled to see how the club decided to readjust the squad that recently won La Décima, even though he assured he's still confident about the upcoming season. Nevertheless, Real Madrid are currently one of the top favorites on Betfair to win the Champions League again this year, together with Bayern Munich and FC Barcelona. This weekend, Portugal hosts Albania in their first fixture for the EURO 2016 qualifiers, but Ronaldo has been left out of the squad in order to be able to fully recover from an injury that has been bothering him for the past few months. In his most recent interview, Cristiano Ronaldo has finally spoken a few words on the always controversial transfer window that we've gone through this summer. The Portuguese superstar talked during a Tag Heuer promotional act in Spain and even though he tried not to address any of Florentino Pérez's decisions in particular, he couldn't hide his dissatisfaction on the way things were carried through. Cristiano Ronaldo: "I have a very clear opinion on what happened during this summer's transfer window, but I can't always speak my mind. If I did it, I would probably be on the cover of all sports newspapers and that's something I'm simply not interested in. However and If I was the one in charge at the club, I wouldn't have done things this way...", stated the former Man Utd winger. Ronaldo: "Nevertheless, if our President [Florentino Pérez] thinks that the signings and sellings were done for the best of the team, we must respect and support his decisions. The truth is that these new players who arrived now will necessarily change the way we were used to play, and we can either get better or worse than we were last season. Hopefully we'll improve though, because all the signings the club has made are definitely great players. Di María and Xabi Alonso were very important for this team, but they are no longer with us, so now we must only focus on who's here. I'm sure they will all adapt very well to Madrid! ", commented the UEFA's Best Player in Europe, in 2013-14. In regards to the injury that has forced him not only to miss Real Madrid's recent match against Real Sociedad, but also being spared from Portugal's qualifier against Albania this next Sunday (September 7), CR7 assured this stoppage time will benefit him greatly. Ronaldo: "I'm going through a specific training plan. I already ran yesterday. I'm very confident that in about a week I'll be back to my best form", remarked the Real Madrid forward. The Merengues host Atletico Madrid for La Liga on September 13, a few days after the international break is over. Cristiano Ronaldo next game for Real Madrid will be against Atletico Madrid, in the third fixture of La Liga, on September 13. In the meanwhile there's the international break coming up and you can watch Portugal vs Albania, France vs Spain, England vs Norway, Germany vs Argentina, and Czech Republic vs USA, all matches provided from our football live streaming pages.